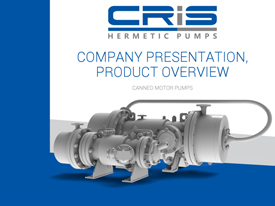 Special CMP type canned motor pumps are developed according to specific parameters and operating conditions as specified by Customer and are designed to pump in steady-state operating conditions chemically active, corrosive, toxic, flammable liquids, as well as liquids containing harmful substances of all classes of danger, vapours of which may form explosive mixtures with air. These pumps are designed to create circulation of transformer oil in the cooling systems of power transformers of main line electric locomotives (TT) and stationary power transformers of electric power plants (TE, MT). Features: mono-block pumps with oil-flooded stator (TT and MT) and bush stator (ТA).